One of the questions that was raised following the tragic accident involving a bus at Fort Ternan, Kericho was the age of the driver. According to reports in the newspapers, the driver of the ill-fated bus was 72 years old. He had, according to his employer, been a competent employee until then. Questions as to whether his age affected his capacity to perform his duties will remain unanswered. Every organization has to consider the age of its employees. Section 58 and 59 of the Employment Act of 2007 recognize that the minimum age for any industrial undertaking is 16 years. Most employees are required to retire by the age of 55 years but in some instances, an employee can continue working up to the age of 70 years. As technological advances shift the nature of work, jobs are continually evolving. There are jobs such as digital asset manager which did not exist twenty years ago while there are others such as typists that have become obsolete. The ratio of Kenya’s youth to the population stands at 20.3%, which is above the world’s average of 15.8%. A 2016 World Bank report stated that the unemployment rate in Kenya among the youth stands at 17.3%. This is higher than the unemployment rates in Uganda and Tanzania which stands at only 6%. It is against this backdrop that organizations have to find the right balance in order to attain diversity in terms of age in their organizations. Having a talent acquisition strategy ensures that you hire the right talent for the right job. It forecasts the organization’s need for talent in line with its growth strategy and helps in planning in advance for talent acquisition. Having such a strategy in place can help in eliminating some of the age inclined biases because the skills and background of the required talent is clearly outlined in the strategy. Some cliché words used in describing talent are regarded as ageist. For instance, “highly energetic” is regarded as a euphemism for “young”. Avoid using such words in your strategy. Instead, focus on attributes that would make a candidate valuable regardless of their age. The talent acquisition strategy should be shared with external recruiters to ensure they understand the organization’s needs when it comes to talent. A good interview should be an opportunity to delve deeper into a candidate’s competencies and work experience. All the questions that the interview panel intends to pose to the client should be geared towards ensuring that the hiring team has a clear picture of the value that the candidate would bring to an organization if given an opportunity to do so. Experience is valuable and it often comes with age but this does not mean that a candidate who does not have many years of experience would not be of value if given an opportunity to put their skills to use. Learning, as they often say, is the only way to avoid rusting. Training is an essential part of your organization’s growth hence it should be offered to all employees on a regular basis. Organizations often assume that they will not benefit much by offering their older employees opportunities for training since the older employees are on their way to retirement. This assumption results in a huge skills gap between the older and younger employees. Training offers an opportunity for the older employees to share the wealth of the experience they possess with the younger employees. It offers the younger employees an opportunity to share the new developments in the field with older employees in an environment that is interactive and friendly. There are three ages to consider according to psychologists. Which age are you focusing on? Chronological age is determined by one’s date of birth. It is subject to the clock and seasons on earth hence there is nothing anyone can do about it. Biological age is determined by one’s lifestyle. A 20 year old can have the heart of a 90 year old due to bad eating habits, lack of exercise and a bad attitude towards life. A 60 year old can have the heart of a 30 year old due to proper eating habits, regular exercise and a good attitude towards life. Psychological age is determined by how an individual views himself or herself as he/she advances in age. As Henry Ford, the American business magnate and founder of Ford Motor Company rightfully observed: Anyone who stops learning is old, whether at twenty or eighty. Anyone who keeps learning stays young. The greatest thing in life is to keep your mind young. Are you stuck in a rut when it comes to talent acquisition? We at Crystal Recruitment make it our business to find the right talent for your company as we are a leading Recruitment Agency in Kenya. Talk to us today and let us help you find the right talent. An interview is, in simple terms, a question and answer session between the employer and the candidate who is a potential employee. As an employer, an interview is an opportunity to determine whether a candidate’s qualifications are a good fit for the organization. An interview enables you to sift through the fine list and get the finest candidate for the position you are seeking to fill. Candidates, on the other hand, spend hours preparing for the interview and work even harder to deal with the anxiety that comes with being interviewed. This job requires you to speak ______ fluently. What languages are you fluent in? This position requires you to represent the organization in forums with audiences drawn from different ethnicities. Are you good at handling such audiences? “We have always had a man/ woman for this role. Can you handle the challenges that come with this position? Men and women possess different abilities which enrich the workplace in unique ways. For decades, ill-informed notions about what a woman can do have been used to lock out women seeking certain opportunities. The effect of this discriminatory practice has resulted in huge gaps between the number of women and the number of men in certain fields. Fortunately, most organizations are beginning to recognize the critical role played by women in the workplace and are taking active steps to close the gaps. Your organization will benefit immensely from providing both men and women with equal opportunities. Do not lock out women on account of their gender. Open the field for them and level the playing field for them. This job may require you to work overtime hours. What days/hours are you available for work? Are you available for work-related travel occasionally? This job may require you to relocate to another city or country. Would you open to this? Religion is increasingly becoming a dicey topic. While we cannot ignore the role of religion in one’s life, it can be a hot button topic in the workplace. Asking about a candidate’s religion can open the door for discrimination on account of one’s religion or lack of religious affiliation. Organizations that are religiously affiliated may find this question necessary when determining a candidate’s alignment to the organizational values. However, given that religion is deeply personal and private, it may be hard to determine if a candidate’s convictions are actually as stated. To avoid this, it would be better to determine if a candidate’s religious affiliation has a direct bearing on the position. If not, it is better to steer clear of this question. When was the last time your Supervisor/Manager gave you constructive criticism with regards to your job? Tell us more. What areas are you working on for Personal Development? Do you need help with recruiting top talent for your organization? 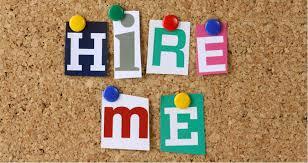 Crystal Recruitment is a Leading Recruitment Firm that specializes in targeting the right people for open vacancies. Check out our website today and get in touch with us. I was to write about interning after we posted 2 intern opportunities with our clients. However, as we shortlisted, we were appalled and I felt I must write this as a reminder and more for those who may be wondering they have sent out 200 plus applications with no response. I know, even a ‘regret’ is better than never hearing from the companies you applied to. If you do not hear from us or do not hear from recruiters after you apply for an opportunity, this could be one or all of the reasons! See what we shared earlier about having a great CV. So let us say it again, take your time. Write a great CV even for an internship. Sell yourself. How do you stand out from 800+ applications, like what we received for the Office Assistant Intern position in just a week? The only thing standing between you being shortlisted for an interview, getting a regret or never hearing from the Recruiters is your CV and application letter where applicable. Google is your friend, if not, then you better start making it your close ally. Know what to avoid, and do exactly that. If a job is for a certain nationality, please do not apply. It is not funny when a recruiter scroll down CVs to find a +254 yet they want a +255. Unless of course you are a citizen of that country and want to go back home. If you cannot follow basic instructions in the job application process, why should the hiring company think you would follow instruction once hired? And trust us, there are so many instructions to follow. Sending CV to multiple Employers on the Same Email. But why would you send your CV to 10 companies on the same email? Not Including a Body on the Email. This is another that actually tops the list where if you have a good CV but do not have time to write something about yourself and the job you are applying for, how would we know? The chances of a Recruiter opening that CV is pretty slim unless of course, they have some extra time or they did not get enough applicants for the specific job. We repeat; pay attention, someone will pay attention too. It is simple; You don’t want to put in time when applying, why would someone else spend their time checking your CV trying to figure out what sort of job would be of interest to you or what skills you have, yet you can simply include that in short paragraph? My guess is as good as yours, ‘hit ignore button’. No one will even bother responding to this. There is a reason people study Coms 101? And letter writing and there is a reason the emails have a subject line? So let us get something straight. You do not expect to get a call for an interview with either a junk CV or a junk application and especially not in a market where Recruiters have deadlines, KPIs and pressed for time to sieve through all the CVS. Yes, some must go through all CVs to create longlist before creating a shortlist because of audit purposes. When you are a job seeker and you include a phone number, email address or skype ID, be sure to be available on those channels. Do check your emails on a regular basis. If you don’t and you miss a deadline, you have yourself to blame. We as a leading Recruitment Agency in Kenya have several assessment stages and for large volumes of applications, we rely on provided email contacts to reach the applicants. Be Intentional in your Job Search and see the rewards.